Carnipure is the most popular, highest-quality L-carnitine on the market. It's a popular ingredient in energy drinks, post-workout supplements, and on its own. Here's what you need to know to get the most out of it! When taken correctly, L-carnitine can provide a boost to both your training and your physique. 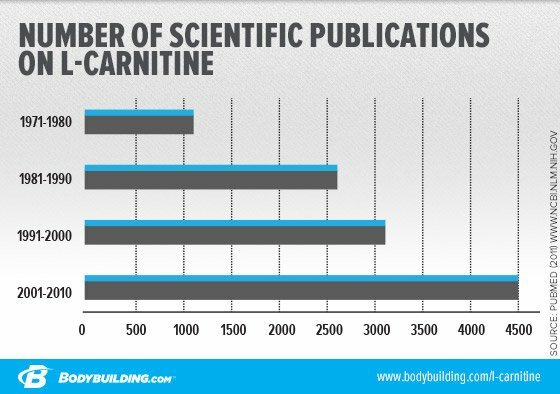 Let&apos;s look at the science behind Carnipure L-carnitine and how you can get the most out of it. In the body, L-carnitine is formed in the liver and kidneys from the amino acids lysine and methionine. However, it is stored elsewhere, primarily in muscle (including the heart), the brain, and even in sperm. In the diet, it mainly comes from meat and other animal products. You can get some from plant products like avocado and soybeans, but as a rule, meat is the best source—and the redder the better. On labels, you&apos;ll see various forms of Carnipure L-carnitine, including: Carnipure L-carnitine, Carnipure tartrate, and Carnipure ALC. All three are similar, and are similarly effective. The last of those three is Carnipure&apos;s acetyl L-carnitine formula, and is another popular supplemental form of L-carnitine. Acetyl L-carnitine can be found throughout the central nervous system, where it plays a fundamental role in producing energy, as well as producing the important neurotransmitter acetylcholine. The acetyl group attached to the carnitine molecule enhances its ability to pass across the blood-brain-barrier and enter the brain, where it acts as a powerful antioxidant. For this reason, some research suggests that acetyl-L-carnitine may provide protective actions against aging processes and neurodegeneration. What are the physique and performance implications? 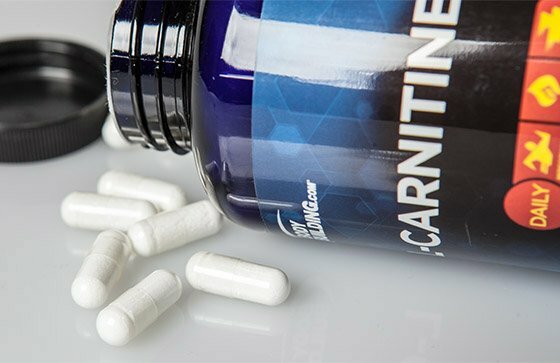 L-carnitine has been studied from a nutritional and health perspective for decades, but its potential to aid in fat loss and athletic performance has led to an explosion of research in recent years. L-carnitine&apos;s bona fide role as a fat-burning supplement is well-established. A number of clinical studies have shown that it can support weight management as part of a weight loss program for overweight individuals.4,5,6,7 During bulking periods, taking L-carnitine can help limit fat gains and make a "cleaner" bulk. If you&apos;re cutting, it can help transport the fat you have into your cellular furnaces to get burned as energy. It can promote recovery from exercise by increasing blood flow,14,16 reducing markers of metabolic stress,15,18,19,20 decreasing muscle soreness,15,18,19,20 and improving recovery time.13,17 That way, you can get back in the gym, on your bike, or in the ring, faster. There are few established negative side effects from L-carnitine supplementation at accepted doses. One well-publicized recent study postulated that L-carnitine supplementation may increase the risk of atherosclerosis. However, the study design has been met with plenty of criticism from the scientific community—myself included. Medical experts have also pointed to the numerous studies that actually show a reduction in the risk of cardiovascular disease with L-carnitine supplementation. There&apos;s another unexpected side effect you might experience with L-carnitine supplementation, but it&apos;s not one you&apos;d notice in the gym. One study from Italian researchers reported that L-carnitine was actually more effective than testosterone therapy for treating male erectile dysfunction. This could be because it boosts NO levels, helping you get more blood flow down there. There is also research suggesting that supplementing with L-carnitine enhances male fertility by enhancing sperm mobility. 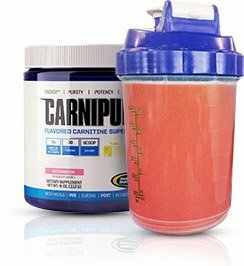 Simply put, the most important thing you take with Carnipure L-carnitine is carbs. Some early studies showed no benefit of supplemental L-carnitine, because they failed to adequately raise muscle carnitine levels. This was because the supplement wasn&apos;t taken at the right time, when insulin would be spiked and muscle uptake would be adequate. Newer research shows that insulin levels must be high for adequate amounts of L-carnitine to enter muscle cells, where it performs the majority of its work. On the flipside, taking L-carnitine enhances insulin&apos;s actions at the muscle cells, helping to deliver more glucose into the muscle cells as well as more L-carnitine. This form of L-carnitine may be stacked with other ingredients which enhance fat-burning, such as caffeine and green tea, and taken between meals. While as little as 1 gram of L-carnitine can be effective, your best bet is to take 2-3 grams per dose for maximum benefit, along with at least 30-40 grams of carbs and 20-40 grams of protein, preferably with a meal. This applies if you take either Carnipure L-carnitine or Carnipure tartrate. Carnipure acetyl-L-carnitine, however, is more easily taken up by the intestines and the muscle cells, not to mention the brain, in the absence of food. Therefore, this form of L-carnitine may be stacked with other ingredients which enhance fat-burning, such as caffeine and green tea, and taken between meals. At this time, it appears that there is no need to cycle carnitine. Taken regularly and predictably, it should continue to be effective over the long term. It&apos;s a common ingredient in energy drinks, but is also increasingly common in post-workout recovery supplement mixes. 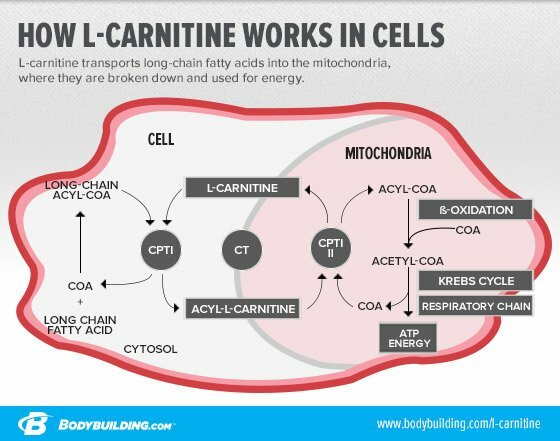 One strategy I&apos;ve found to work well for both fat-loss and performance benefits is to take 2-3 doses of acetyl-L-carnitine with other fat-burning ingredients without food between meals, and to take 1 dose of Carnipure L-carnitine or Carnipure tartrate with a post-workout meal. Carnipure L-carnitine is available in a variety of delivery forms. It&apos;s a common ingredient in energy drinks, but is also increasingly common in post-workout recovery supplement mixes. It can also be taken on its own, either in liquid or pill form. No matter how you take it, look for the Carnipure name to know you&apos;re using the highest-quality L-carnitine backed by science. It&apos;ll help support the energy and recovery needs of athletes, weekend warriors, and everyone in between looking to maximize their workout results. CarnoSyn is the most popular, highest-quality beta-alanine on the market. It&apos;s the version you&apos;ll find in all the most popular pre-workouts and ergogenic supplements. Here&apos;s what you need to know to get the most out of it!